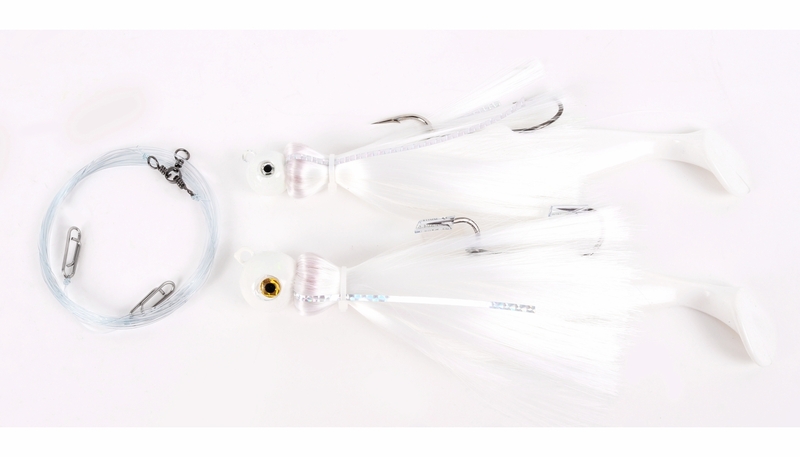 MagicTail Tandem Mojos feature super strong Mustad hooks, a solid lead head with a realistic eye, and a strip or two of reflective Mylar on each side of the skirt for a subtle amount of flash to help troll up the big ones. 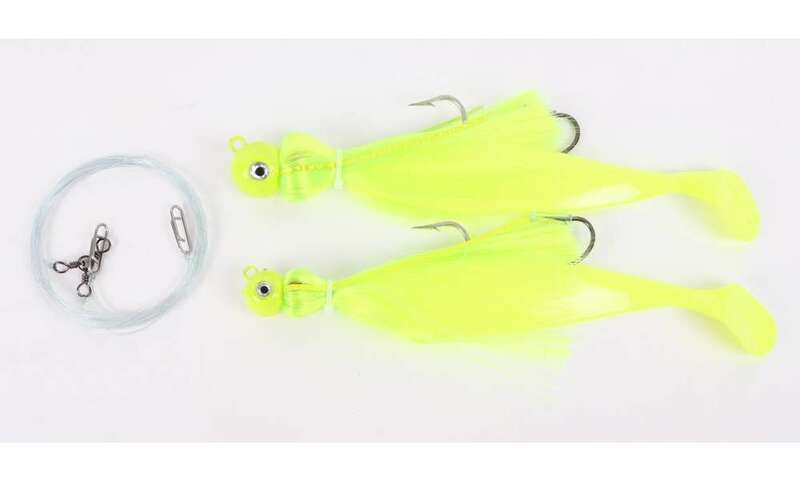 These mojo tandems are simply overbuilt in order to handle big fish after big fish. 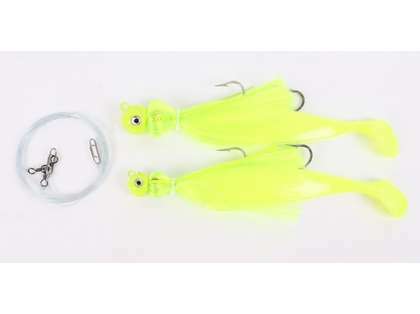 All MagicTail Tandem Mojos feature 175lb Tactical Anglers Power Clips, allowing you to quickly swap between colors and sizes when the bite is red hot. Available in 8x4, 10x6, 12x8, and 16x8 and all of the hottest color combinations, striped bass cannot resist the MagicTail Mojo Tandem rigs!